All this week, watch Wheel of Fortune and you could win a trip for two to The 54th Academy of Country Music Awards in Las Vegas during the Wheel of Fortune 54th Academy of Country Music Awards Flyaway Sweepstakes. 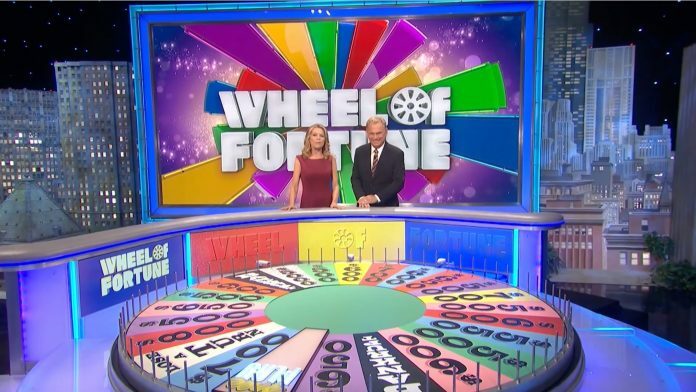 Write down the Bonus Round Puzzle Solution and register at wheeloffortune.com after each show airs. Wheel Watchers Club members get an extra entry each night. Eligibility: is open only to permanent legal residents of the fifty (50) states of the U.S., or D.C. (excluding Guam, Puerto Rico and all other U.S. and foreign territories and possessions), who are currently physically located and residing therein, and who are eighteen (18) years of age or older as of February 18, 2019. Details: Watch Wheel February 18–22 for your chance to win a trip for two to The 54th Academy of Country Music Awards in Las Vegas! For complete details and official rules, visit https://www.wheeloffortune.com/so-many-ways-to-play/enter-sweepstakes/acm-flyaway/.